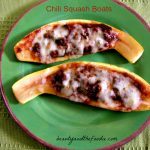 Low carb, with a paleo option, these Chili Squash Boats are a wonderful way to make a meal out of leftover chili. A great way to use up left over chili. I always make a large batch of chili, and then have this the next day for lunch. A really simple, fast meal when you have leftover chili. Here are some links to my favorite, paleo , low carb chili recipes: Hearty Crock Pot Chili Stew, or Easy Taco Chili Skillet , or you can use any chili recipe you like as well. A great way to use up left over chili. I always make a large batch of chili, and then have this the next day for lunch. Super yummy. Steam the squash halves for a few minutes or microwave for 60 seconds until just a little soft. Once cool enough to handle, use a spoon or small ice cream scoop and scoop a small amount of squash out of the center hole. 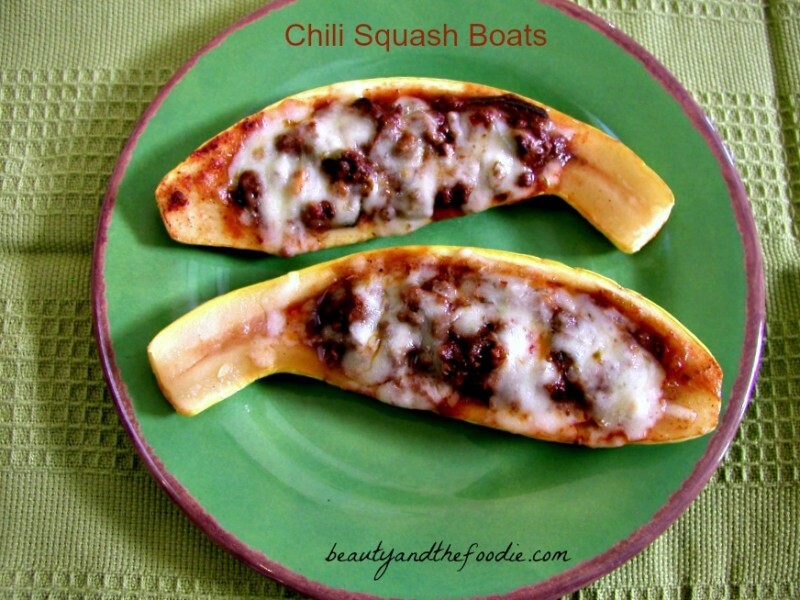 Fill the squash hole with a 1/2 cup of chili. 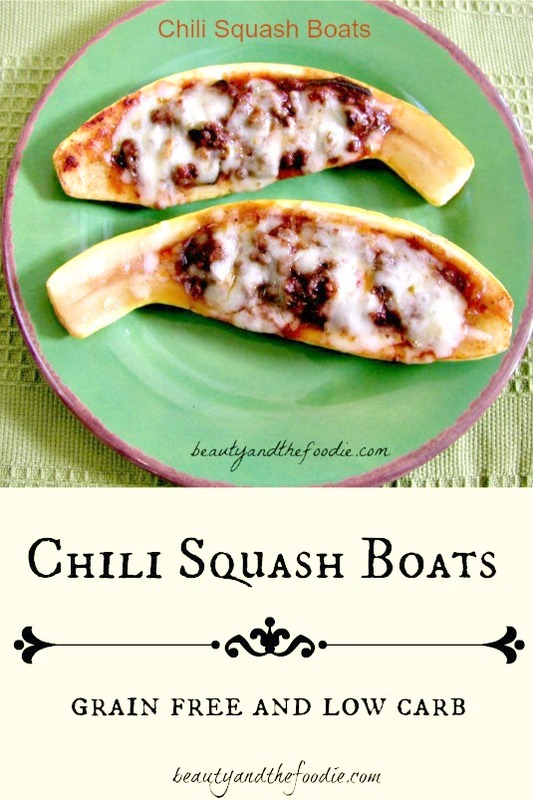 Place Squash halves on a oiled or lined baking sheet. Bake for 10 to 15 minutes, or until chili is hot and cheese is melted.